Top advices : Respect local culture. 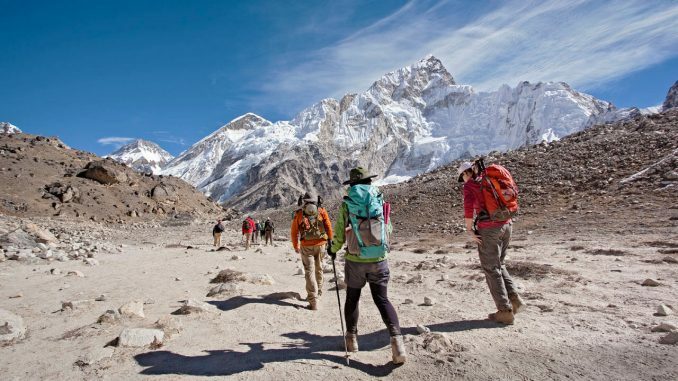 When trekking Prayer rocks, walls and flags are meant to be kept to the right at all times. It is a custom to follow what the local people believe. Also, ask before taking any photographs, many people do not want their photos taken. Remember, you are on Holidays, Enjoy Yourself! The most important thing to remember is that you are on vacation, relax, have an open mind, and enjoy yourself! There is always a lot of spare time when on a trekking trip like Everest Base Camp. You generally walk anywhere from 4-6 hours a day, with the exception of a few longer days, and therefore have plenty of time when you arrive in the tea houses to relax, rest, and have a laugh with your fellow trekkers. It is important to have this time throughout your journey as they help to keep you positive and relaxed, instead of nervous and tense. You also have to keep in mind that you are entering a very different environment than you may be used to when going to Nepal. Things may not be done in the same manner as you may be used to at home, by no means does this imply that things are done wrong there, however they are just different. You must always keep an open mind and remember the fact that there will be cultural differences along the way and to respect those who are there to help us reach our goals! Top tips : Bring your own tea. Tea is very expensive on Everest and it is cheaper to buy hot water and use your own tea bags. Bring a variety of teas as well for more enjoyment.